The Peugeot Kisbee is a practical scooter that offers a high level of versatility. It is agile, light and livery and comes with a pretty low price tag too - 1.699 pounds. The scooter features a modern design language with sharp, aerodynamic lines. It comes with a pair of light 12 inch alloy wheels, a spacious seat and a grey paint job. At the heart of the scooter sits a redesigned 50cc, 4-stroke engine that comes with a new piston design, lighter con-rod and 3 chamber exhaust. Thanks to this tweaks the engine is able to deliver a bit more torque than its predecessors. 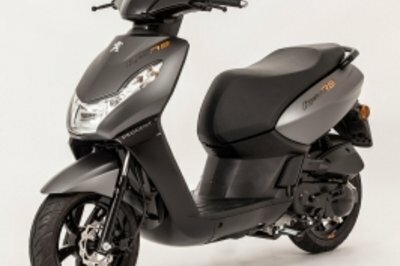 The unit is mated to a fully automatic transmission, and Peugeot says that its Co2 emissions are 30% lower than an equivalent size 2-stroke scooter. You also get a generous under-seat storage compartment that can accommodate a large full-face helmet, a bag hook and a big Large 6.8 litre fuel tank. Hit the jump for more information on the Peugeot Kisbee. Designed to be the perfect partner for both rural and urban commuters, the new Peugeot Kisbee is light, agile and spacious, offering hassle-free commuting, and low cost to both the rider and the environment. With its elegant headlight, 12” alloy wheels and sumptuous seat, the Kisbee exudes quality throughout. Simple in concept, but advanced in design, the Kisbee’s 50cc 4-stroke engine features a new piston design, lighter con-rod and 3 chamber exhaust, so it produces more torque but remains compact, lightweight and reliable. 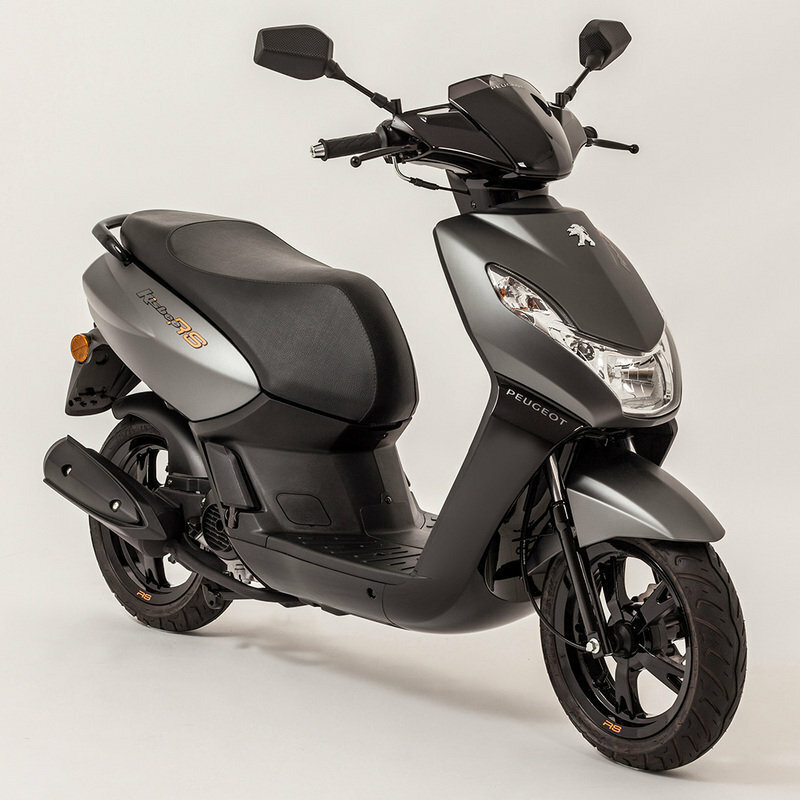 Combined with the fully automatic transmission, it delivers more than enough power for nipping through congested urban areas, yet it emits around 30% less Co2 than an equivalent size 2-stroke scooter, while delivering optimum fuel efficiency. Beneath the seat is a storage compartment that can hold a large full-face helmet, while the level floor pan and bag hook are practical for securely carrying an additional bag, rucksack, or briefcase. The Kisbee offers plenty of legroom making it a comfortable and spacious machine for taller riders. Large 6.8 litre fuel tank means longer between fill-ups and the Kisbee has a fuel gauge on its uncluttered dash board so you won’t be caught short. At just 95 kg the Kisbee is easy to move around on the road and squeezing this compact scooter into tight spaces is a breeze. The Kisbee’s 12" wheels and low seat height (780 mm) ensure an easy ride in town or country. With a relaxed riding position combined with progressive and efficient brakes, Peugeot’s Kisbee inspires confidence in your daily commute. Spacious seat and retractable footrests offer comfort when travelling two-up.